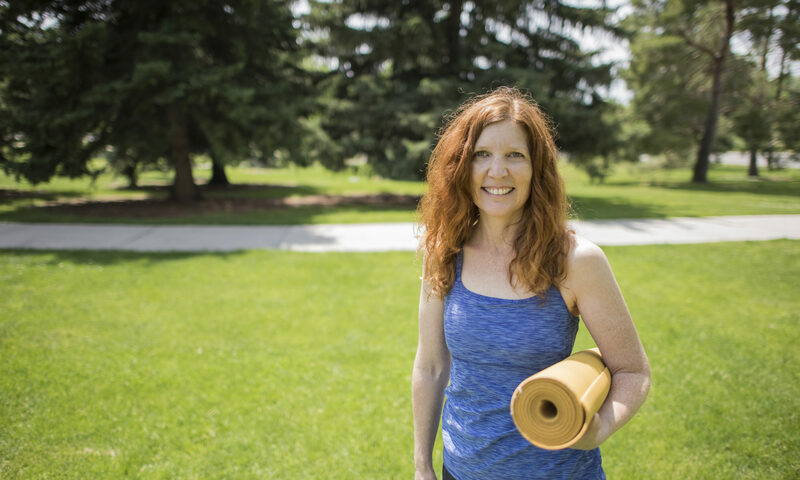 Hatha Yoga with Erin was founded by Denver yoga teacher Erin Mathiason. With 20+ years and thousands of hours yoga teaching experience, Erin is recognized by Yoga Alliance as an Experienced Registered Yoga Teacher (ERYT200) and a Continuing Education Provider (YACEP). Erin offers private yoga instruction as well as public yoga classes and workshops in the Denver metro area. Erin finds joy in practicing and teaching yoga and tai chi, but also in curling up with a good book (usually nonfiction narrative) or a documentary. She also enjoys NPR, walking, and taking all kinds of workshops (and has a fascination with tiny houses, although she’ll likely never live in one). I miss you too Jan! While I’m not teaching any mat yoga classes on the central east side, I am teaching SilverSneakers Yoga (a chair-based practice) and TaijiFit at Carla Madison Recreation Center. I’m also negotiating for either a Beginning or Gentle Yoga class at Glendale Sports Center–look for that to be added soon.